Mona: Mona, I know it's been a while, but I haven't changed that much, have I? You guys, it's me - Alison. 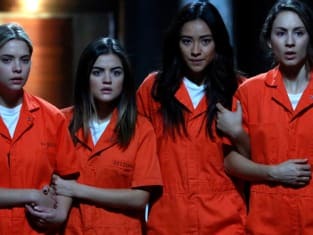 Pretty Little Liars Season 5 Episode 25: "Welcome to the Dollhouse"
I don't care how far apart we are, I'll still be with you. Permalink: I don't care how far apart we are, I'll still be with you. The first night's the hardest. Permalink: The first night's the hardest. Pretty Little Liars Round Table: Who is ChArles?! ?